Here you can scroll through all boxes from this collection. Clicking an image takes you to Flickr, where all images are published, and where you can download all images in hi-resolution. 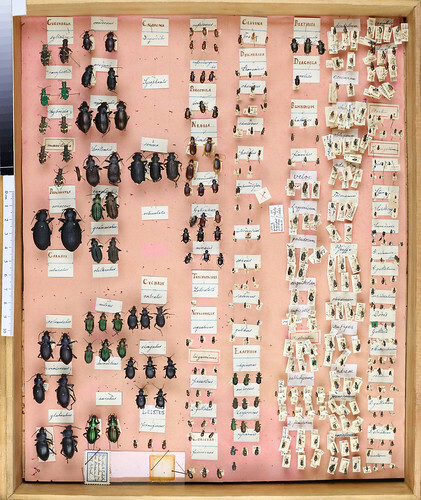 Thomson's main Coleoptera collection, first sold to the Zoological Museum in Berlin (present Humboldt Univ.) but in 1967 reunited with Thomson's duplicate collection below. 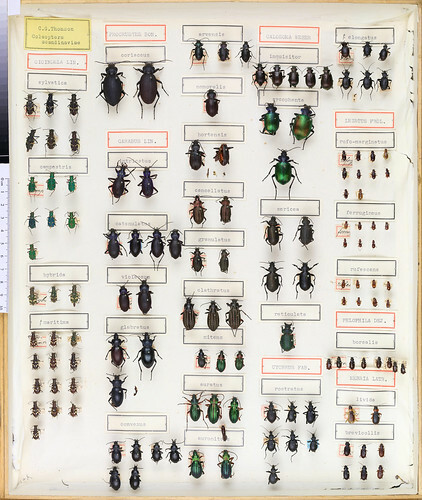 Both collections hosts many types. Thomson's duplicate collection brought to the museum in 1900. Rearranged, with Thomson's original name lable on the first pin of each species.